Bubbleparc is a micro entertainment park that jumps outside the box every summer in the Edinburgh, Falkirk and Barcelona, providing a perfect opportunity for visiting children to let off steam. "I'd highly recommend taking your children here - we've been here twice now! The staff are very polite and each attraction is so much fun!" The bubbleparc offers a series of innovative physical activities for children and adults within a surprising contemporary environment. The perfect way to spend time in Edinburgh this summer whilst avoiding the hecticness of the Fringe. 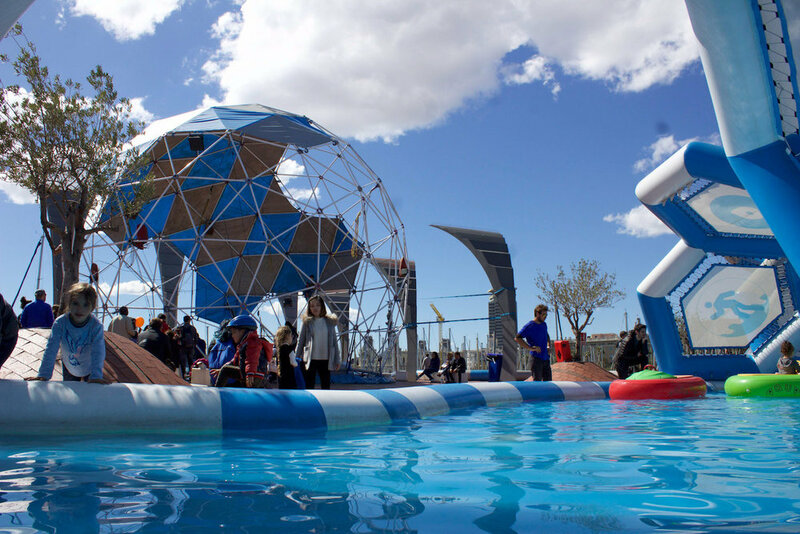 Explore our innovative and contemporary bubbleparc in the Port of Barcelona all year round. Jump as high as the Falkirk wheel this summer!